Three-time GRAMMY winner, Kelly Clarkson is making her rounds across the Pond and seems pretty fond of British shoe brand, Marion Ayonote. The pop princess recently wore the designer's gold "Conqueror" heels on the popular show Loose Women, where she talked about her life, her new single and her adorable daughter (who was backstage during the taping and wearing the most adorable gold fringed moccasins). 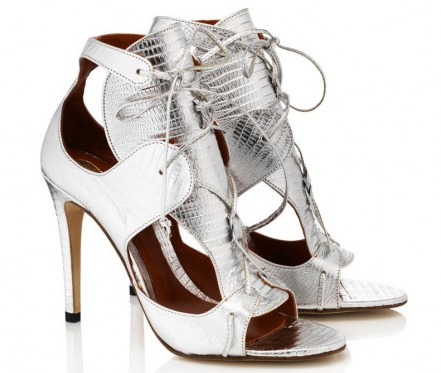 The gladiator-inspired style sandal features a reptile-embossed panel and a lace-up front on a stiletto heel. It's available HERE on Marion Ayonote's website. 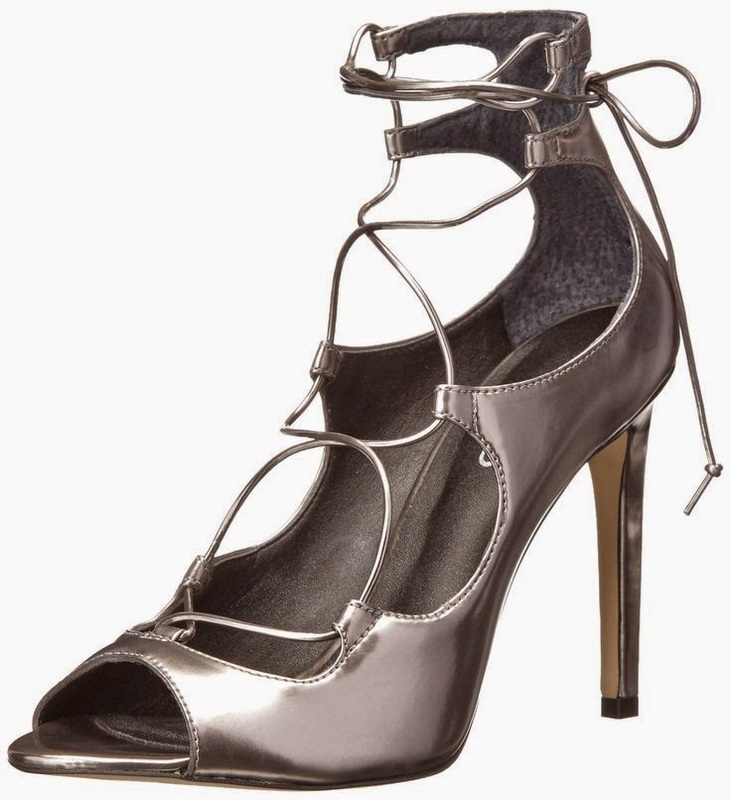 Kelly wore the "Conqueror" in silver during a Valentine's Day performance at a London night club, as well. Get them HERE. Have you seen a pair of shoes on a celebrity and wondered where to get them for yourself? Do you have a favorite celeb style icon or muse? Let us know in the comments.